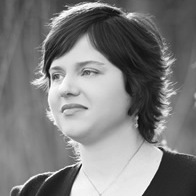 Kristen Buras is an Assistant Professor in the Department of Educational Policy Studies at Georgia State University. She was a Wisconsin-Spencer Fellow and received her doctorate in curriculum and instruction from the University of Wisconsin-Madison. She is the coauthor of Pedagogy, Policy, and the Privatized City: Stories of Dispossession and Defiance from New Orleans and author of Charter Schools, Race, and Urban Space: Where the Market Meets Grassroots Resistance. Buras has spent the past decade researching school reform in New Orleans, including charter schools and alternative teacher recruitment. She is the cofounder and director of Urban South Grassroots Research Collective for Public Education. She is also past associate editor for the Journal of Education Policy and a current editorial board member.